The world of babywearing dance isn’t a large one so it was no wonder GroovaRoo Dance and Cool Mumz Dancin came onto Selen Yilmaz, our founder’s, radar. After introductory emails and a few chats, it became apparent to Selen that Meeshi Ravi Anjali, co-founder of GroovaRoo Dance in San Diego California, and Intan Armelia, our recent JISBD student and founder of Cool Mumz Dancin in Singapore, had very similar ideologies and thoughts about babywearing dance. So, in just three weeks, after online meetings and discussions (which is no easy feat between three countries and countless time zones), the three founders decided to hold the first ever global babywearing dance event. More than just independent events in three locations, their vision was to hold flashmobs worldwide during the weekend of 21st and 22nd May. And that’s exactly what happened. 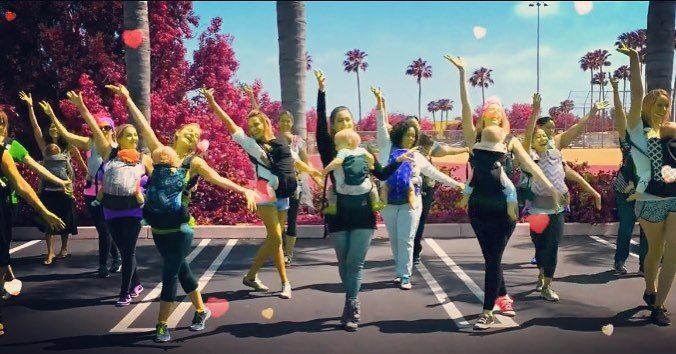 “Love is This”, a collaboratively created routine, brought together over 1000 families in the USA, Singapore, Turkey, Lithuania and Scotland to dance and share their love of babywearing dance. 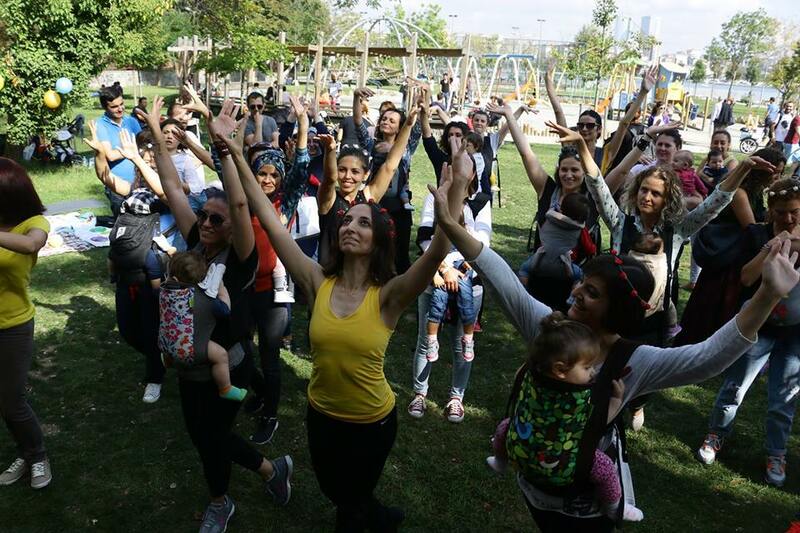 Although used for the initial global flashmob event, “Love is This” was conceived as an introduction to the First International Babywearing Dance Day (IBDD), scheduled for Wednesday 21 September 2016. Selen said she believes that they’ve only scratched the surface of the number of people who could benefit from and enjoy babywearing dance, and she hopes to find more people taking part in September for IBDD. So, here’s to bringing increased happiness and joy across cultural and generational divides. Will we see you in September for IBDD? We’ll be looking out for you! Babies, despite their lack of language, use early forms of communication to show their emotions. Music and movement are definitely gateways to their communication. Not only does dancing and moving create an amazing connection between baby and wearer, but it also helps them to explore their environment from eye level. And this exploration doesn’t just start when they’re born. They explore, communicate and learn from their environment from the womb and continue to discover new moves, expressions, and reactions to sounds and objects all the time. You can see it in very young babies who wriggle, giggle and dance to music even before they can speak. And they take a delight in it even more when grown-ups, their siblings and other children take part too. What happens when you dance with baby? There are two things. Firstly, taking the time to dance with your baby creates a powerful connection with them. It’s a natural and wonderful way to communicate love, stability and comfort. The second thing that dancing does is that it helps to improve your baby’s coordination, balance, and strength. It’s also an easy way to help to boost your baby’s self-esteem, happiness, and encourage you to both be active. All of this doesn’t require fancy footwork or moves. Even the most basic moves have a positive effect. I get why dance is important and why you should dance with your baby, by why should it be babywearing dance specifically? ergonomically designed type of carrier helps maintain a correct posture and fully support baby as she cuddles and grows, which is very difficult if you’re holding your baby in your arms. Is there anything that people should be careful about while babywearing and dancing? During pregnancy the growing uterus causes one’s centre of gravity to move forward. This can lead to tightness of the muscles of the lower back, hip flexors, and pain in the back of the neck due to the head’s position. New mothers can also experience sore necks and shoulders from their breastfeeding position and lower back pain from rocking, bouncing, and holding their babies. It’s important to remember that even when babywearing movement and dancing involves low impact movements, you really should listen to your body. Know your physical limits while wearing your baby and keep to a gentle level of exercise with minimal exertion. Lastly, remember to take short breaks as needed, to prevent tiredness and dehydration. How important is it to use the right baby carrier or sling while dancing with your baby? Unfortunately, not all slings and carriers are suitable for babywearing dance and don’t offer the support needed for active babywearing. The most important thing to remember is that younger babies need head and neck support at all times while dancing. Carriers that have been designed and worn ergonomically and correctly also prevent lower back pain and help the wearer achieve a comfortable, straighter stance and better posture. So overall, its best to remember that to achieve an ergonomically correct position, it is vital to use the right-sized carrier for the baby’s build, weight, and age as well as the wearer’s body shape and health. Otherwise, you’ll need to use your hands and arms to give baby a comfortable, safe, and supportive snuggle while dancing. What other rules should you remember when babywearing and dancing? Really, the general babywearing T.I.C.K.S. , PEACE and SAFE guidelines are the biggest thing to remember. Carrying very young babies can be a wonderful and meaningful bonding experience for both the carer and baby, so we advocate always using an ergonomically correct and comfortable carrier to support both baby and wearer. Safety is paramount! We know there are plenty of advocates for babies being kept in front-facing carriers so they can enjoy facing out and observing interactions from this position. While its true that babies love to discover and experience new things, we don’t recommend carrying babies facing outwards under 1 years old. Not only because front-facing carrying doesn’t support a baby’s posture ergonomically, but it also makes it difficult to monitor your baby. Babies can often be overstimulated, both with their environment as well as the way in which they are carried. So really, we believe young babies should only be carried facing in. Not only because front-facing carrying may be uncomfortable for baby but also as the person carrying the baby, it can shift your body weight forward, putting pressure on your back, hips, and knees which may cause lower back pain, joint problems and injuries. Any last things to remember when choosing the right baby carrier/sling for dancing? Get what’s right for you and your baby! If you do, you’ll find you have the freedom to move and dance and really enjoy yourself. Stay upright, and remember, if your favourite carrier or sling doesn’t quite work for faster movements and dance steps, you can always give baby additional support with your arms and hands. But overall, remember the babywearing T.I.C.K.S., and babywearing dance safety guidelines PEACE and SAFE. How does Joimove feature in helping people learn about babywearing dance and babywearing dance safety? As you know, we’re an International community that works to create a positive influence on the world by connecting people of all ages through dance and movement. Babywearing and toddlerwearing is one of the vehicles we use to connect with babies and children. More than just our local classes, we also have our Joimove International School (JIS). Developed by dance, health, and babywearing professionals to provide clear guidelines and formal guidance in safe babywearning dance and movement, they are easy and straightforward courses perfect for gaining confidence and skills to safely wear, move and dance with a baby in a carrier or sling. 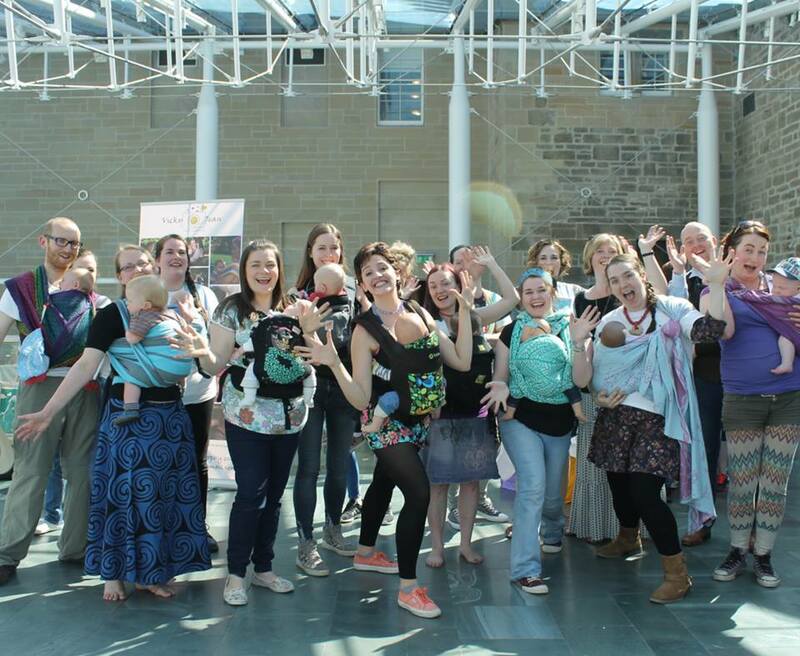 Babywearing dance is a fun and exciting thing to do with your baby and hopefully we’ve inspired more people to take it up and take advantage of our training so they can be safe, skilled and confident! Founder, Joimove International, JIS. Visit Selen Yilmaz’s page to contact.